THAT’S SO METAL. 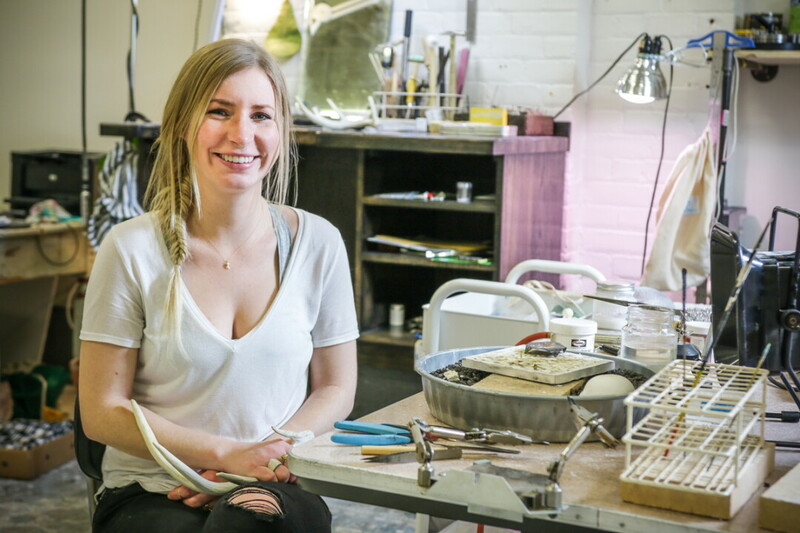 UW-Stout graduate Andrea White opened her jewelry studio, Salt Collective, in Eau Claire’s Banbury Place last winter. The shop focusing on minimal designs using precious metals and ... deer antlers. ‘Salt, in small amounts, is essential for human life. We think jewelry is a lot like salt,” reads the website of Salt Collective, a local jewelry boutique Andrea White opened in February. White attended UW-Stout where she earned a bachelor’s degree in Metals and Contemporary Art Jewelry. Jewelry making first piqued White’s interest when her father gifted her 19 shed antlers. White took it upon herself to create her first piece: A ring made from antler. Little did she know, it would become the first of many. 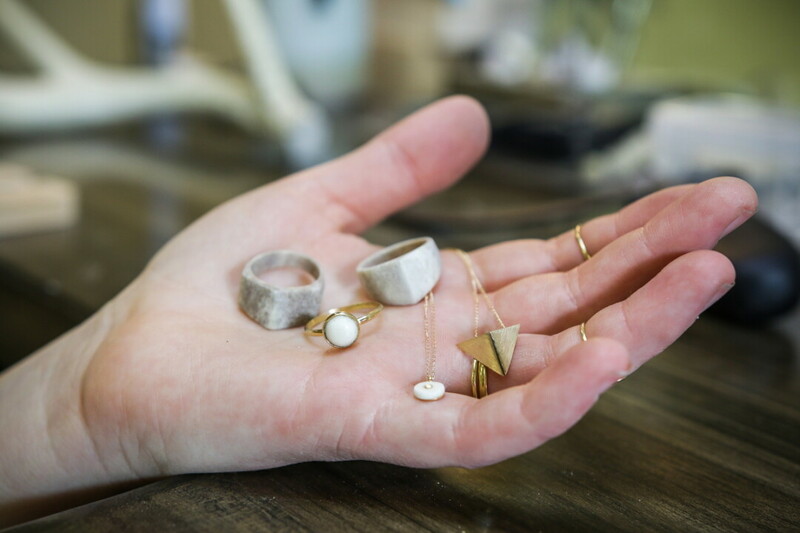 At Salt Collective, White makes and sells bracelets, necklaces, earrings, and rings. 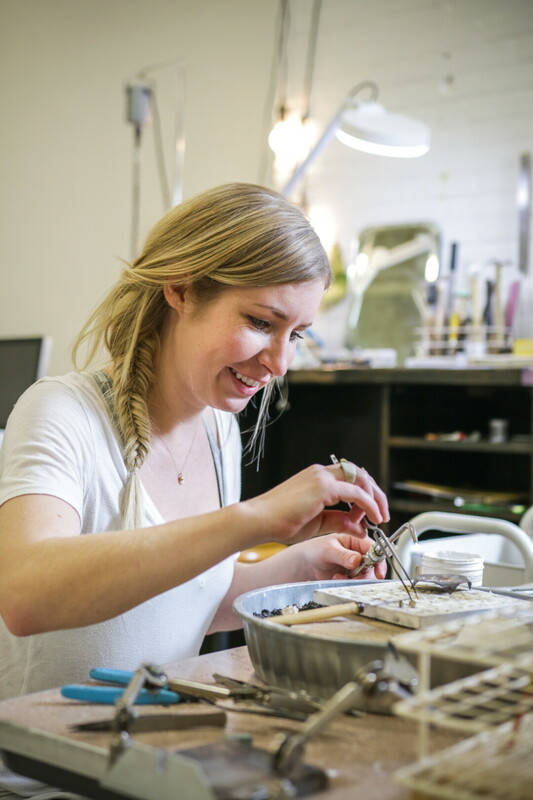 Everything is handmade, thanks to White’s training in the art of metalsmithing. Made from antler studs, pieces such as antler rings and necklaces give a Midwestern twist to a classic. White also crafts pieces using sterling silver and 14- and 18 karat gold. White was awarded $2,000 through one of this fall’s Red Letter Grants, which are awarded to women entrepreneurs. The money will go towards jewelry materials and marketing efforts, according to White. She hopes to have a professional photographer take photos of her jewelry and enhance advertising on Facebook and Instagram.